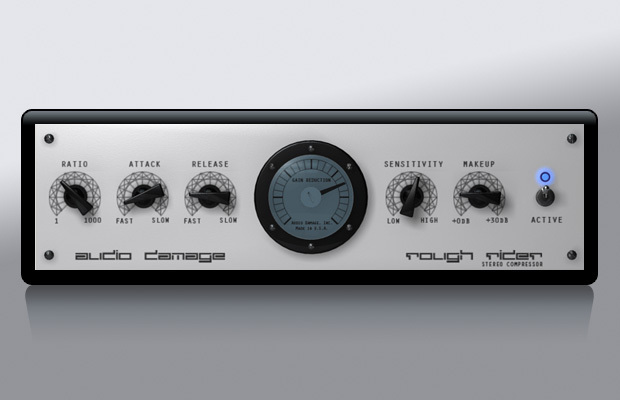 Rough Rider is a modern compressor with a bit of “vintage” style bite and a uniquely warm sound. Perfect for adding compression effects to your drum buss, it also sounds great with synth bass, clean guitar, and backing vocals. Definitely not an all-purpose compressor, Rough Rider is at its best when used to add pump to rhythmic tracks. Of course, you can use it however you’d like. Slap it on a track and crank some knobs. The front panel layout is done the same as many hardware compressors, so it will be immediately obvious how to use it.